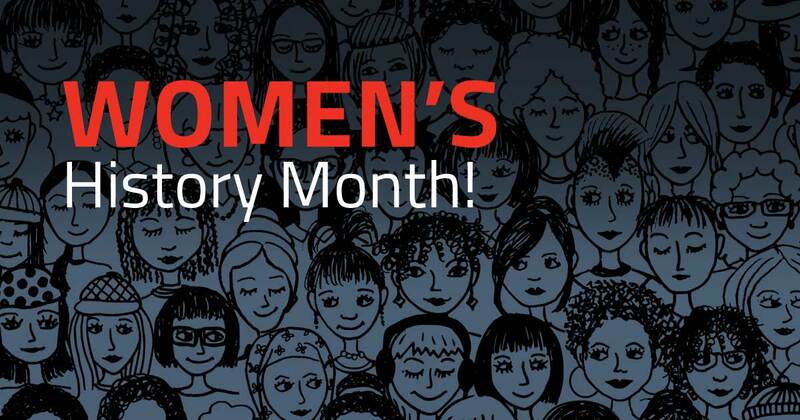 If you didn’t already know, March is Women’s History Month. In working for a marketing communications firm, I have a unique perspective because there are a lot of women in my field—though it hasn’t always been this way. It is truly amazing that, in just 50 years, so much has changed for women in the workplace—not just in my field, but also within my own family. Recently, I have been helping my grandma with the transition into senior living. My mom, Terri, and I have spent a lot of time sorting through her belongings, which has led to many interesting conversations. My grandma, Irene, frequently asks me about work and I often answer casually as if it’s just another part of my world, failing to realize that just two generations ago it would have been unheard of. She is always eager to hear about what I’m working on, constantly showing her support. After graduating from high school, my grandma started as a drafter for Goodyear Tire, which was unusual for her time. Shortly after, she met her husband and decided to leave the job in order to focus on her home and family. They were married for 60 years and had five kids together. Her decision to stay home with the children was extremely common, and even expected of most women during this time. She supported my grandpa by raising the kids and being the center of the family. My grandpa worked at Goodyear Tire and later as a school system treasurer. His pension and social security supported them throughout their lives and well into retirement. They carefully planned and budgeted, including doing lots of coupon clipping and garage sales. Women had no expectation of being a breadwinner. She didn’t consider going back to work until her youngest graduated high school—meaning that, over the course of 5 children, she didn’t work for 30 years. When Irene did enter the workforce, she was still outside of the norm. Most of her friends continued to stay at home and never entered the workforce. Of my grandma’s 5 kids, two of them, my Aunt Kathy and my mom Terri, have grown up to be powerhouse businesswomen. Kathy has worked for major companies like Pearle Vision and Purell, while my mom, a former high school salutatorian, graduated from college early and went on to earn an MBA from the University of Connecticut. After I was born, she went back to work right away while my father stayed home to take care of me. I suppose our situation was a little bit different. After my father passed away, she was the primary caregiver and breadwinner. She worked for some of the largest corporations including GE Capital, TransAmerica and IBM. When she entered the workforce, she was one of few women in an industry and culture of many men. Some of them were supportive of women working in the field, but many others left her out of key business conversations or treated her as inferior. I think she suspected that she would never feel entirely included as “one of the boys.” The highest level positions were only ever held by men. There were no women in positions of power who would look out for her or help mentor her along the way. She and the women of that decade had to pave the path for the rest of us. Graduating college, among my peers, entering into the workforce was absolutely normal and part of most people’s plans. Upon entering the workforce, I noticed women in all positions, from entry-level all the way to business owners. Witnessing first-hand the uphill battle my mom went through, I know that these women had to pave the path for my generation to create a place where we felt comfortable working and had the opportunity to grow within our industries. I am grateful that working is an option for me and that my skill set is not diminished just because I’m a woman. While we still have a long way to go across the country, and especially across the world, I feel fortunate to be alive during this time. I want my daughter to have the luxury of choice. Whatever path she chooses for herself, I want her to feel like she is not ever looked-over or disparaged just because she’s a woman. I want her to have both the family and work life that she wants. And thanks to all the trailblazers before me, she will have that chance.